8. Vathek an Arabian tale. with notes. This digital document is an article from Albion, published by North American Conference on British Studies on June 22, 2003. The length of the article is 977 words. The page length shown above is based on a typical 300-word page. The article is delivered in HTML format and is available in your Amazon.com Digital Locker immediately after purchase. You can view it with any web browser. 8. Vathek an Arabian tale. with notes. critical and explanatory. 10. William Beckford, auteur de Vathek (1760-1844). Étude de la création littéraire. 11. William Beckford, auteur de Vathek (1760 - 1844): Étude de la création litteraire. This is kind of a wierd outlier in the canon of 18th century lit.It was written in French by an Englishman.The plot has elements of gothic literature infused with a healthy dose of 1001 Arabian nights style Orientalism.There is also alot of witchcraft, demon worship and evil doing.This book still has an edge over 200 years after it was written, though the characters are about as wooden as you would expect in a book that combines gothic motifs with eastern mysticism. 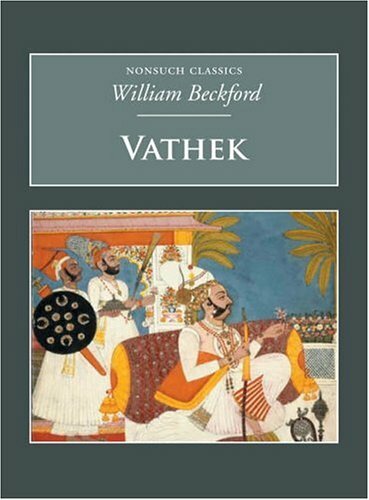 "I Am Not Over-Fond of Resisting Temptation..."
First made available in English in 1786, William Beckford's "Vathek" is one of the early examples of Gothic fiction, one which also capitalized on the newfound fascination with Orientalism, thanks to the recent translation of The Arabian Nights into English. My own copy is contained in a three-book set alongside Horace Wadpole's The Castle of Otranto and Mary Shelley's Frankenstein, three companion pieces that display the characteristics of the Gothic genre in its early stages. Like Wadpole, Beckford's story was first presented to the public as a faux-translation of a much older manuscript that had been found in an exotic country. In this case, "Vathek" distinguishes itself from its fellows through Beckford's capitalization of Orientalism, in exploiting exotic fantasies of Eastern culture, religion and myths, alongside the usual Gothic trappings of ghosts, bloodshed, highly-strung emotions, and the attempt to evoke terror in its reader. Yet in many ways, "Vathek" also resembles a fairytale, or perhaps one of those stories you were told as a child that were designed to frighten you into good behaviour. The story of Vathek, the ninth caliph of the Abassides, is that of a fall from grace; a morality play about how pride, hubris and lust for knowledge beyond one's right to possess will inevitably lead to an individual's damnation. The young Vathek is a ruler insatiably thirsty for knowledge, and not only partakes in various debates with scholars, but has built a tower (reminiscent of the tower of Babel) in order to study astrology. He is joined in this quest by his mother Princess Carathis, who has taught her boy everything he knows. One day Vathek acquires a pair of beautiful sabers engraved with indecipherable letters that, when translated, read: "We were made where everything is well made; we are the least of the wonders of a place where all is wonderful and deserving, the sight of the first potentate on earth." The following day however, the words have changed into the cautionary message: "Woe to the rash mortal who seeks to know that of which he should remain ignorant, and to undertake that which surpasses his power". Naturally, Vathek is intrigued, the more so by the words and actions of the mysterious man who bought the swords to him in the first place, and will not be hindered in his ambition of tracking down the sabers' origins. In order to obtain a key that is promised to lead him to "the talismans that rule the world"; (along with other infernal powers, secrets and treasures) Vathek commits several heinous crimes before setting off on a pilgrimage to the region of Istakhar, the seat of Eblis (or Iblis), an incarnation of the Islamic devil. Encouraged by his mother and yet given ample second-chances by heavenly forces, Vathek eventually gains a companion in his quest: a beautiful princess called Nouronihar, the daughter of an Emir, whose role in the narrative could function as either his salvation or damnation. Told in third person by an omnipresent narrator that sometimes intrudes in order to shift the scene or discuss morality, "Vathek" has no chapter breaks, but is one complete manuscript. According to the author, it was penned in no less than three days, and there is definitely the sense that Beckford made it up as he went along: Carathis initially seems like a wise and benevolent monarch, until the narrator casually mentions that she's in league with demonic forces. In the same vein, the book is almost at a close when we are told that Vathek has a never-before-mentioned brother. Likewise, it is filled with odd quirks, like the man who tucks himself up and is kicked like a football throughout the city, or the plan to remove a prince and princess from danger by hiding them in a valley and trying to convince them that they've died and are in purgatory. Also, there are dwarfs that are pinched to death. Really. But there is a beautiful build-up of atmosphere here; from the five palaces of the caliph, each one pertaining to one of the sensory pleasures, to the protagonist's final destination, the vast subterranean caverns of marble "strewn over with gold dust and saffron." Populated by a cast of eunuchs, jinn, afrits, caliphs, devils, spirits and those pinch-fearing dwarfs, Beckford's imagination is on full-assault here, including treats such as damned souls tortured by their perpetually burning hearts, angels appearing as shepherd boys playing soul-rending flute music, the caliph's "evil eye" that cause weaker men to die of fright, and the phenomenon of a strange man-child character who is swept away from the evils of the world in order to dwell happily...in a nest. "Would you surrender this divine beauty to a husband more womanish than herself? And can you imagine that I will suffer her charms to decay in hands so inefficient and nerveless? No! She is destined to live out her life within my embraces: such is my will, retire, and disturb not the nights I devote to the worship of her charms." 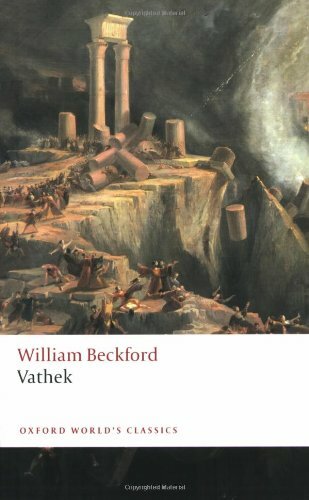 Written in 1782 by the near-legendary hedonist William Beckford when he was only twenty-one, Vathek, or The History of the Caliph Vathek, was the first Oriental-Gothic horror novel in English literature. It tells the story of Vathek, the debauched and pleasure- seeking ninth Caliph of the Abassides, who decides to build a great tower to "penetrate the secrets of heaven." The appearance of an Indian magician arouses Vathek’s thirst for knowledge and he is willing to go to any lengths, including the sacrifice of fifty of the most beautiful boys in his kingdom, to gain access to the "Palace of Subterranean Fire," where the magician promises he will find treasures, intelligences and talismans that control the world. The tale of the caliph Vathek is certainly the strangest thing I've read lately, and that is an accomplishment since it had to beat out The Blind Owl: no mean feat, that. I think I would be doing anyone a disservice to spoil the plot, especially since it doesn't make much sense anyway. I will give away that it is basically a variation of the Faust legend, with huge helpings of oriental exoticism. The story's mood is sometimes dark and moralistic, sometimes light and fantastic, sometimes ironic. Sometimes the narrator seems to sympathize, or to want us to sympathize, with the anti-hero; other times we are clearly to be repulsed or, at the least, startled. First of all, any fan of early gothic. Its mood is less consistently dark than the genuinely gothic novels, but I'm sure the relations are obvious. The deepest sympathy, I think, between Vathek and more famous gothic stories, is in the mingling of attraction and disgust at the superstition and cosmic moral drama found outside the orthodox Protestant or rationalistic Enlightenment worldviews. The reader should indulge in a Catholic or orientalist fantasy for awhile, come to appreciate its danger, and return gratefully to the supposedly well-ordered English society. Escapist literature at its best! Beyond that, however, the similarities pretty much end. If you are a fan of early gothic novels, of course you should read whatever you feel like, but I would gently recommend readingThe Castle of Otranto: A Gothic Story, The Monk (Penguin Classics), The Romance of the Forest, and of course Frankenstein (Norton Critical Editions), maybe even (for some lighter fun) Northanger Abbey (Penguin Classics) before turning to Vathek. They are each more famous, more coherent and arguably more entertaining. Fans of H. P. Lovecraft might enjoy Vathek as well. 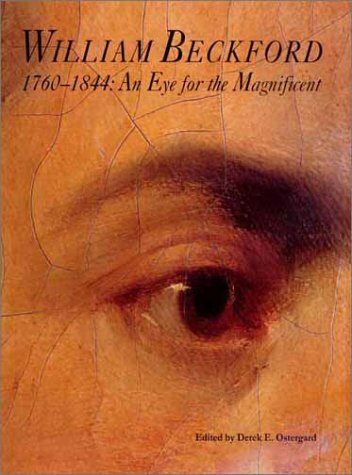 Secondly, anyone interested in the later stages of the Enlightenment, or early romanticism. Here again I would suggest Faust: A Tragedy (Norton Critical Editions), and I agree with the reviewer who suggested The History of Rasselas: Prince of Abissinia (Oxford World's Classics) as works that you might like to read along with, and probably before, Vathek. Thirdly, anyone interested in orientalism. Here of course the key thing to read first is The Arabian Nights, Volume I: The Marvels and Wonders of The Thousand and One Nights (Signet Classics) is the place to start, and Johnson's Rasselas would be a good follow-up, and then Vathek's place will be well appreciated. The connections to gothic, romanticism and orientalism are obvious, but I'll go out on a limb that may surprise: Kafka fans will probably enjoy this. Now Kafka's stories have brilliant subtleties that Vathek lacks, but I believe there is a definite affinity here in spirit, if not in technical execution. Kafka couldn't have written the way he did in the 18th century, but if he'd been there to try, perhaps he would have come up with something like Vathek. So, in sum, there are a number of works with a greater claim to most people's time and attention than Vathek; however, there are a large number of readers out there who are unfortunately missing a work that they would certainly relish. By all means, give this fascinating little book a shot. The tale of Vathek is undeniably a wonderful oriental fable, where enlightenment ethics are presented and critiqued. If read in conjunction with Samuel Johnson "Rasselas", Montesquieu's Persian Letters and "Arabian Nights" one may be able to better understand the landscape upon which orientalism (a term used by Beckford himself to illuminate the period's infatuation with the orient, not to be confused with Said's) and enlightenment values where divulged. Beckford's tale however speaks of a more prescient sphere where the author's inner struggles and thwarted tragic desultoriness devolves. As with all literature this compact gem stands on her own; however many have tried to extract a moral import and some have even described a mystique of knowledge and a system of ethics with undue fastidiousness. In a more likely scenario we have a wonton fable whimsical and indulgent, crafted as a parody of "orientalism". Knowledge of Beckford's life may serve the reader well but should not hinder her enjoyment. The author's disquietude trumps an increasing distance from the absurd drive and hedonistic tendencies of the protagonist, while we feel a sympathetic kinship laxed the more into the novella we proceed. The author wrote this fable in French and supervised the translation as best he could. The grotesque and the sublime are here married insolubly but tend to find a balance suspended over a void that derides and insinuates the emptiness of a spiritual fantasy in turmoil. The ending paragraphs are singed with a sad glow that seems to recriminate as much as it moralizes: much like a father that punishes a child only to feel remorse over the fact that his own blood cannot enjoy what is most enjoyable. He is not convinced and Beckford created a wonderful fable where much is exposed, but the simplicity, the arrogance and the conviction are to be regaled with the same comic grotesque sprightliness with which he infuses his narrative. A quick fun read that demands little of us, but in degrees can disclose a sensibility we may be dismissive of if we are to package it as a tale where orientalism meets enlightenment values. Vathek was Caliph in the area of approximately present-day Iraq, at some unknown time in the past. He was generally a fair person, but woe unto him who got Vathek angry. He lived in an immense castle, with the absolute finest of everything. One day, a very strange, and very ugly, man stood before his throne. He had a hideous laugh, but didn't speak. He showed Vathek all manner of rare and exotic items, including sabers inscribed in an unknown language, inscriptions which kept changing from day to day. The stranger was thrown in prison for his unwillingness to speak. The next morning, finding the stranger gone, Vathek totally blows his top. Finding himself outside the castle, at the foot of the nearby mountains, Vathek hears a voice coming out of a huge crevasse. It is the stranger, called a giaour, who promises Vathek all the powers of heaven in exchange for the blood of fifty young boys. Vathek provides the boys, through the guise of a sporting competition, then the giaour reneges on its part of the deal. When the people, especially the parents, understand what's happened, Vathek has to get back to the castle and lock the doors, until the anger subsides. Later, Vathek commands the creation of a great caravan to a place called Rocnabad, home of famous springs. For various reasons, he needs to get away from the castle for a while. This is going to be the biggest, and grandest, caravan ever. On the journey, the caravan is attacked by wild animals, with a number of casualties. Vathek, his wives and senior advisers, can no longer be carried the rest of the way, because of lack of personnel, but actually have to walk to Rocnabad. At Rocnabad, there is a castle as big or bigger than the one that Vathek left behind. He meets a young woman named Nouronihar, who he wants as one of his wives (as Caliph, what Vathek wants, Vathek gets). She is promised to a man named Gulchenrouz. The lovers drink a potion that will make them look dead for several days, then, the idea is that they go and live somewhere else, away from Vathek. This is one of the very few novels set in the world of the Arabian Nights, a world of eunuchs, slaves and harem girls. It was first published over 200 years ago (in the 1780s), so the style of writing is very different than what is normal for a modern reader. Therefore, it will take some patience on the part of the reader. If you can find a copy, it is time, and money, very well spent. HOW COME YOU DO SO MUCH WRONG VATHEK? Vathek is another work in an endless series with the Faust myth as its backbone. Except here, instead of being set in Germany, the setting is the ancient middle east in which genies and devils inhabit the land. Vathek is a caliph who is loved but also feared by his people. In fact, if he really loses his temper, just the sight of his gaze can cause death. His court makes The Satyricon look like a sunday school with its voluptuousness and excess. There are even five wings of his palace, with each one dedicated to a sense with names such as "The Delight of the Eyes" and "The Palace of Perfumes". Oh, the decadence! Of course someone as attached to physical gratification as Vathek is sure to stomp on the moral and religious boundaries of Allah and get in trouble. Much like God and Yahweh in the Book of Job, Allah allows Vathek to be tempted and tried by demons as a bizarre test of his faith. Actually, maybe in both cases it was a test of God's faith in man. The faith that man will do the right thing in the end. That he will turn away from evil. That he will have an epiphany which will redeem him. Vathek isn't so lucky. An evil being in the disguise of a man, called the Gaiour, comes to Vathek's court with all sorts of magical artifacts which seem to give their bearer otherworldy powers. Vathek becomes entranced by the thought of having powers over spirits and other men and begins to follow a direct line to eternal hell. In order to court evil spirits, Vathek becomes a mass murderer, a blasphemer, a betrayer, a killer of his own people. He is helped in this by his mother, Carathis, who hasn't even heard the word goodness. She constructs a tower much like the Tower of Babel, in order to reach to the gods and to serve as storage for her arcane items. The book, much like Dante's Inferno, becomes a little much at times. I mean, how many deeds of evil can we experience before we go, "ok, he's going to Hell now!" Sometimes you sense that some of this is intentional and tongue in cheek. At other times, you're horrified at the evil that most of the characters do. Any characters that are good are trampled upon by the evil. The last couple of pages are truly disturbing. I liked this book and would recommend it to anyone that keeps an open mind about fantasy or who is interested in the question of how much knowledge is too much knowledge. Leaving aside the question of whether this book is a 'gothic' novel or not, it is a dark fantasy.It shares with its more conventionally gothic brethren a tale of dark deeds in an exotic setting, where an alien and exciting religion is practised. In the standard Gothic tale, allusions to Roman Catholicism, thought of by respectable Englishmen as a dark, oppressive, and half-pagan faith, were part of the conventional apparatus.Beckford chose instead to imagine the world of Islam, an even more exotic milieu that added some flashes of bright colours to the dark and sorcerous background of his book.His choice of an even more exotic setting allowed him greater freedom in portraying characters who defied social convention and fell into exotic habits of mind. My understanding is that it is a matter of some debate to what extent the English text of -Vathek- is a translation from the French, or an original English composition.I do not have the French text in front of me, but it has been represented to me that Beckford's "original" French is rather like the French of Oscar Wilde's -Salome-, and needed extensive editing to be acceptable to a French readership. At any rate, -Vathek- is a prime example of early dark fantasy.The description, of course, will be richer than you are used to, but Beckford's prose actually seems to move quite quickly.Fans of H. P. Lovecraft or Clark Ashton Smith will find that it is quite easy to slip into.And the tale is indeed a vivid one, right up to the exceptional ending when Vathek and Carathis are damned to the halls of Eblis, their hearts seared with unquenchable fire.